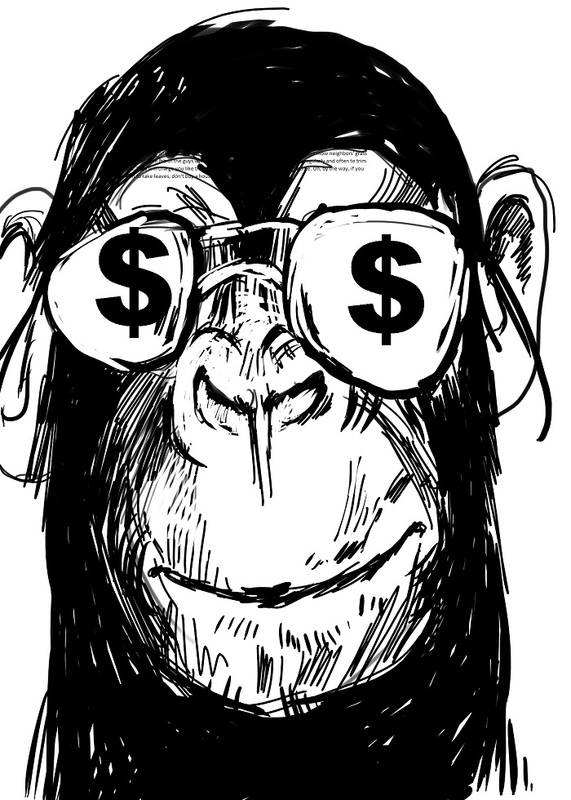 OneBanana Two, a Personal Finance and Economics expert at One Monkey Typing publishing, has shattered the financial world with her new discovery. She reveals her strategy in her interview with Dane Zeller, an editor at the publishing company. DZ: I am honored to have you reveal this important new idea here at the headquarters of One Monkey Typing. OBT: Thank you for giving me the opportunity to spread this good news. DZ: Please describe to us how you’ve fixed our economic problems. OBT: It’s really very simple. Any single person with spare time can just draw pictures of a one-dollar bill and then use it to buy goods and services. DZ: That’s it? That’s your idea? Ms. Two, where I come from, that’s called counterfeiting. OBT: Oh my, Mr. Zeller. Where I come from, that’s called Quantitative Easing. DZ: It’s illegal. You’re recommending breaking the law. OBT: No, no, no. Our government does it all the time. They print money with nothing to back it up. Just like you and me when we draw a dollar bill. First, all we have is paper and ink. Then, we have money. That’s how they do it, too. DZ: But Ms. Two, what merchant would take a fake dollar bill? OBT: Ah, Mr. Zeller, you underestimate the American entrepreneur. Here’s how it would work. The dollar artist would hand the grocer three one dollar bills for a quart of milk. If the dollars looked fake, the grocer would reject them. However, if it was a good job, the grocer might not notice, or, he might be desperate enough for a sale to take a moderately good facsimile, one he thought he could pass off to his milk vendor. OBT: It has other consequences. Because more and more people would become self-employed at this task, our unemployment rate would plummet. We would have no feisty unions to join because we would have no more unthinking and disagreeable managers. OBT: It’s brilliant. There would no longer be any confusing payroll law because there would be no payroll. No accountants. No overhead, but for a person’s living expenses, which they incur anyway. DZ: Thanks for stopping by, Ms. Two. 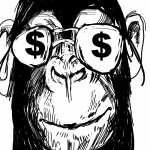 DZ: We’ve been talking with OneBannana Two, free-lance writer and economist. OBT: Mr. Zeller, wait. Do you have change for a twenty?